Marivi started her movement journey as a dancer at the age of 2. It was through dance that she was first introduced to Pilates and GYROTONIC®. Since that first introduction, Marivi has been a part of the fitness world for over 25 years. It was her inherent love of movement and desire to heal injuries that fostered her curiosity about Pilates and GYROTONIC®. Marivi received a B.S. and a Masters in Physiology, which has provided her with a solid foundation in functional anatomy and biomechanics. She also received her full certification in Pilates from Pilates Sports Center, and became a Pilates Method Alliance Certified Pilates Teacher®. 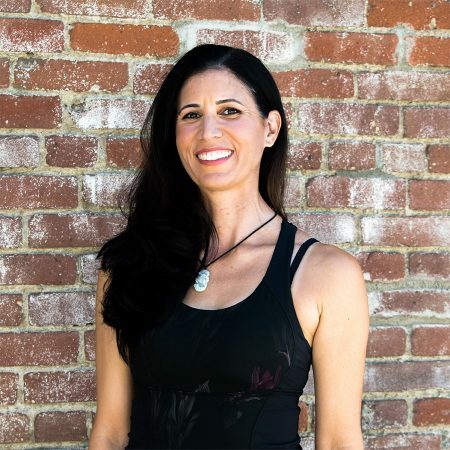 She’s a GYROTONIC® Pre-Trainer, Level 1 & 2 certified instructor, and a GYROKINESIS® certified instructor. Marivi is also certified in the following Gyrotonic specialized equipment: Jumping Stretching Board, Leg Extension Unit, and GYROTONER(R). She’s also a Level 1 & 2 Burn at the Barre® instructor. Marivi continues her education by taking CEC workshops. Marivi is also a CEC provider. She has developed courses such as GYROTONIC® for Equestrians and Tango at the Barre. Marivi has worked at several locations in the Midwest and throughout California. She’s had the opportunity to deepen her understanding of the therapeutic effects of Pilates and GYROTONIC® when she worked as a physical therapy assistant. She has worked with patients ranging from orthopedic issues to multiple sclerosis and Parkinson’s. Marivi is committed to both the therapeutic and aesthetic effects of Pilates and GYROTONIC®. She has personally noticed how Pilates and GYROTONIC® has improved her relationship with horses as an avid Equestrian and her dance. Most profoundly, Marivi has been able to fully come back from a catastrophic Grade 4 hip fracture and Total Hip Replacement (THR) using the Pilates and GYROTONIC® methods. 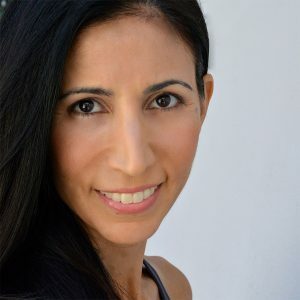 Marivi’s goal is to bring her love and passion of Pilates and GYROTONIC® to her clients and assist them along their path of self-discovery.